This motorcycle comes with an impossible to pronounce name, a huge single-cylinder thumper engine, and styling that looks more 3018 than 2018. It also comes with a huge twelve-grand price tag. Is the Vitpilen (white arrow) really worth that kind of money? Well, that depends how much you value style. It’s got way more street cred than your average bike, and riding a quirky non-Japanese marque is sure to get you high fives from hipsters. In this video, Ari Henning of Motorcyclist Magazine takes the Vitpilen for a test at a top secret testing facility, and then is given the opportunity to rip the bike around the streets of Barcelona. 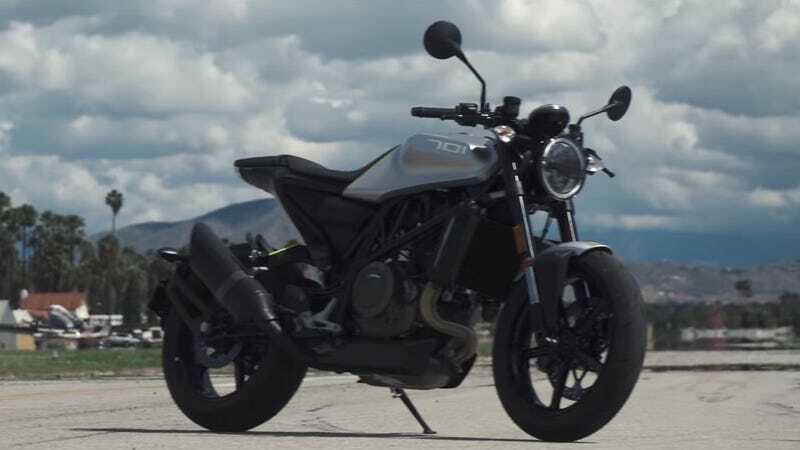 From the video, it’s easy to tell that Ari really like this bike, as it mixes a sportbike riding position with the oddly torquey single-cylinder power delivery. He does have some gripes, though, including the simplified disc gauge display, and would have liked to have seen this future-bike with a keyless ignition. Is it worth $11,999? Well, motorcycle people have never really been rational decision makers. If you’re a hipster rider, a sportbiker, or an easy rider, this bike might be worth checking out.